Happy Eid-ul-Fitr! Eid celebrates the end of Ramadan, the Islamic holy month of fasting. A holiday that is spread over three days, it is customary for families to get together and exchange gifts for the children and eat delicious food! We travelled in the Middle East right through Ramadan a few years ago, and it was a fascinating experience. We got to witness first hand each night as people prepared to break the fast (food and liquids) that lasts from sunrise to sunset. Wherever people were, they would stop – including a family with a little butane gas stove in the middle of a roundabout in rush-hour traffic in Cairo! – as the sun was setting, and have the fast-breaking meal Iftar. Often this would take place outside the mosque with huge trestle tables set up, and you’d see people eating flat out, and fair enough considering they had gone all day with nothing. Wherever we went (Turkey, Egypt, Jordan and Syria) we were able to get some kind of food and drink during the day, however we tried to be discreet and not openly eat in public out of respect.The only slightly dodgy thing was getting in a taxi around 4pm, the driver’s would say ‘I’m sooooo hungry’, and you did wonder if they were ok to concentrate on the road! Eid-ul-Fitr was a magical time, all the little children got dressed up in their best clothes and everybody was so happy. If you ever get the chance to experience Ramadan in the Middle East, I would say don’t hesitate. Ma’amoul (date pastries) are eaten across the Middle East, and often at Eid. 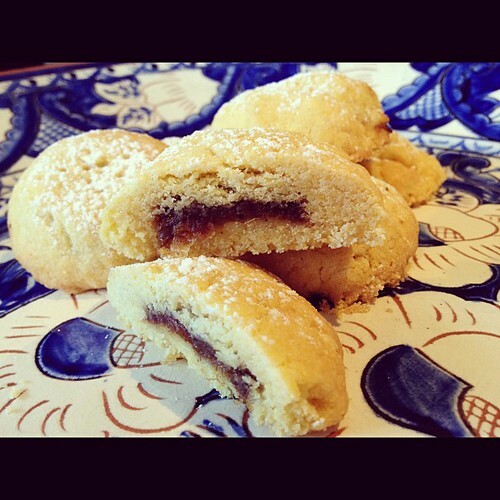 They are a type of moulded biscuit filled with dates or sometimes a mixture of ground walnuts. Specially patterned wooden moulds for shaping ma’amoul are sold in souks, sadly I don’t have one but it will be on my shopping list next time I visit the Middle East! 1. Place all the filling ingredients except floral water in a saucepan and bring to a boil. 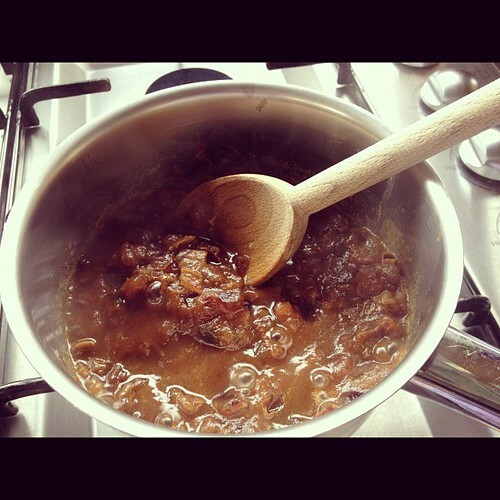 Turn down heat and simmer gently, stirring frequently and mashing mixture with a wooden spoon, until dates soften and liquid reduces leaving a thick paste. Stir in floral water and transfer to a bowl to cool. 2. Combine semolina, flour, baking powder, sugar, rose or orange flower water and butter in a bowl and mix thoroughly. 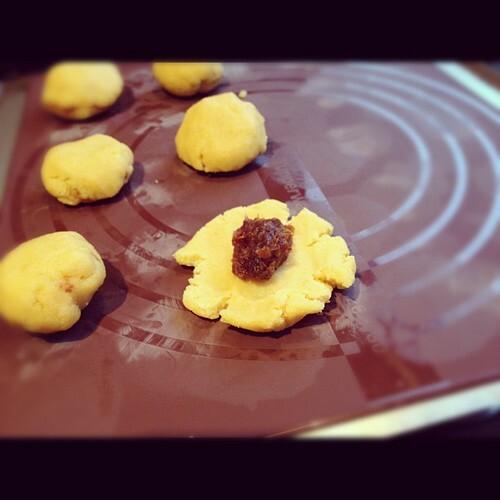 Turn dough out onto a work surface and lightly knead to bring together and form a smooth dough. Rest pastry for 30 minutes. 3. Meanwhile pre-heat oven to 180 degrees celcius and line a baking tray with non-stick baking paper. Divide pastry mixture into 16 portions. Take a portion of pastry and flatten this into a disc. Place a teaspoonful of cold date filling in the centre of the disc, then bring the edges together to enclose filling and mould to form a smooth ball. 4. Repeat process until you have 16 filled balls. 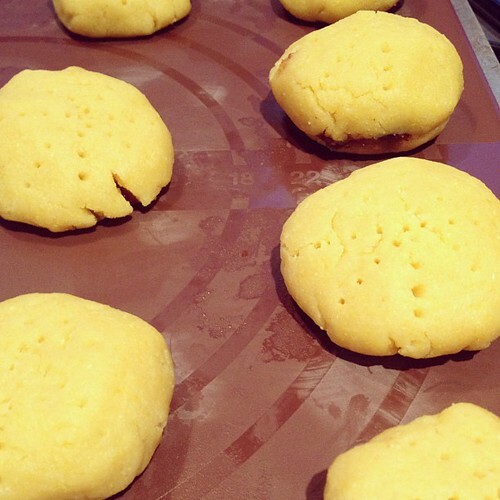 Place these on the prepared baking tray and press to slightly flatten each ball. Or if you have a biscuit mould, press each ball into the mould and release to leave a pretty imprint in the top of each biscuit. 5. Bake for 20-30 minutes or until pale golden. Remove to a wire rack to cool and dust with icing sugar. Ma’amoul will keep in an airtight container for several weeks. Recipe is from Julie LeClerc’s gorgeous book ‘Taking Tea in the Medina’. Salaam. OMG! I love ma’mul! I haven’t had some in so long (like 2 years!). 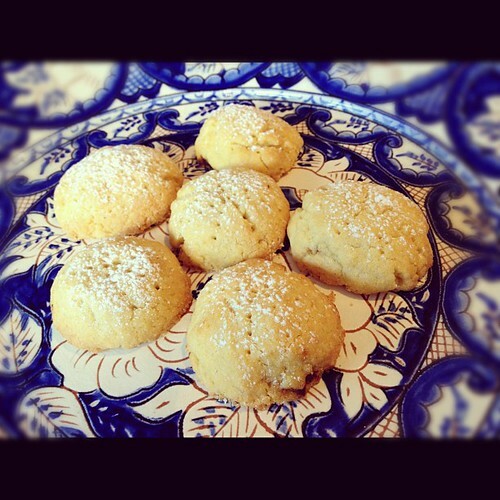 Thanks for posting the recipe and Eid mubarak!